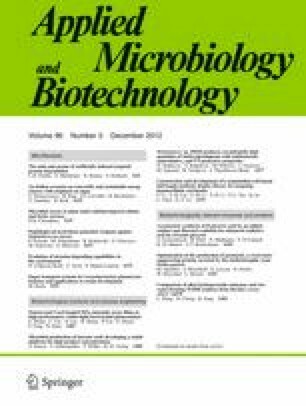 In this work, Escherichia coli MG1655 was engineered to produce ethanol and evolved in a laboratory process to obtain an acetate tolerant strain called MS04 (E. coli MG1655: ΔpflB, ΔadhE, ΔfrdA, ΔxylFGH, ΔldhA, PpflB::pdc Zm -adhB Zm , evolved). The growth and ethanol production kinetics of strain MS04 were determined in mineral medium, mainly under non-aerated conditions, supplemented with glucose in the presence of different concentrations of sodium acetate at pH 7.0 and at different values of acid pH and a constant concentration of sodium acetate (2 g/l). Results revealed an increase in the specific growth rate, cell mass formation, and ethanol volumetric productivity at moderate concentrations of sodium acetate (2–10 g/l), in addition to a high tolerance to acetate because it was able to grow and produce a high yield of ethanol in the presence of up to 40 g/l of sodium acetate. Genomic analysis of the ΔpflB evolved strain identified that a chromosomal deletion of 27.3 kb generates the improved growth and acetate tolerance in MG1655 ΔpflB derivative strains. This deletion comprises genes related to the respiration of nitrate, repair of alkylated DNA and synthesis of the ompC gene coding for porin C, cytochromes C, thiamine, and colonic acid. Strain MS04 is advantageous for the production of ethanol from hemicellulosic hydrolysates that contain acetate. We thank Daniel Díaz-López, César Aguilar, Mercedes Enzaldo, Ramón de Anda, Georgina Hernández-Chávez, Iván Muñoz-Gutíerrez, and José Utrilla for their technical support during the project. This work was supported by the Mexican Council of Science and Technology (CONACyT), grants Proinnova PETRAMIN 2011/154298-2012/181892; FONSEC/SSA 126793 and IMSS/ISSSTE 167756; and DGAPA/PAPIIT/UNAM IN221106 and IT200312-2. Marco T. Fernández-Sandoval held a scholarship from CONACyT.